Heat oven to 450°F. 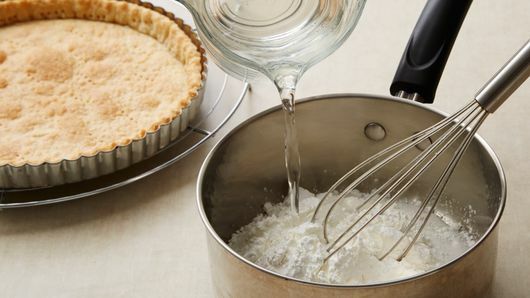 Bake pie crust as directed on box, using 9-inch glass pie plate or 9-inch tart pan with removable bottom. Cool completely on cooling rack, about 30 minutes. In 2-quart saucepan, mix sugar and cornstarch. Gradually stir in water, stirring until smooth. Heat to boiling over medium heat; cook and stir 1 minute longer. Remove from heat. 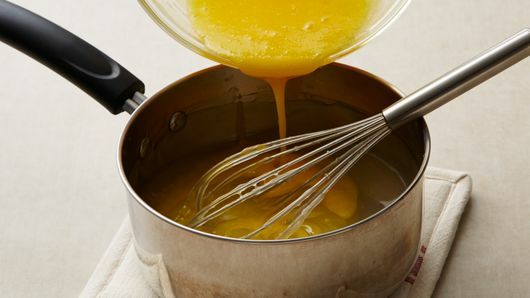 Quickly stir about 1/2 cup hot mixture into beaten egg yolks; mix well. 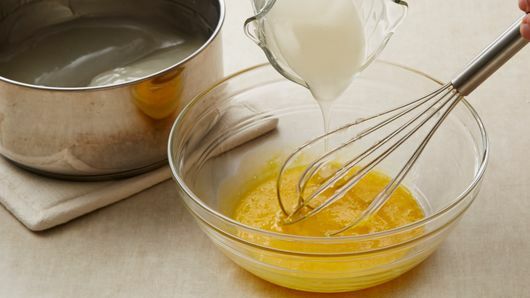 Gradually stir egg mixture back into hot mixture. Stir in lemon peel and lemon juice. Cook over medium heat 5 minutes, stirring constantly. Remove from heat. Add butter; stir until melted. Let stand 10 minutes. Carefully pour hot lemon filling into crust. Cool 2 hours at room temperature. Refrigerate 1 hour before serving. Heat jam in microwave 10 seconds; add to sliced strawberries, stirring gently to coat. Spoon strawberries evenly over top of tart, and serve. 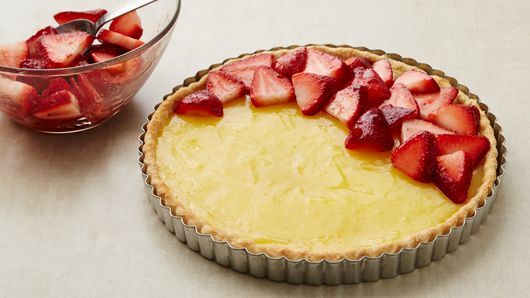 Cover and refrigerate any remaining tart. Fresh lemon juice is preferred, but bottled lemon juice will work in a pinch. 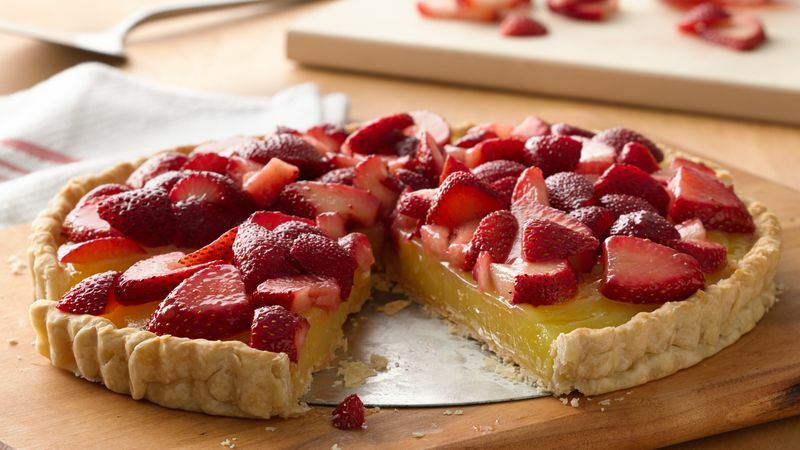 May also top each cut slice with sliced strawberries immediately before serving.